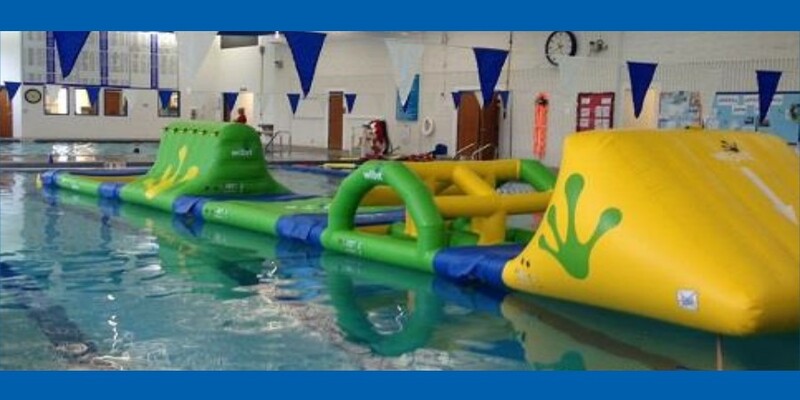 Bounce on in and try out our YMCA Wibit inflatable obstacle course on select days. The Wibit will be set up in the lap pool and will be open to ages 8+ who pass a swim test. Tackle the Wibit as a family or reserve it for a birthday party or group event! Wibit Policy: For Ages 8+--parents must sign a waiver (see below) before children ages 17 and under can participate. Swim suits with sharp objects (exposed zippers, pins, jewelry, etc.) should not be worn while using the Wibit. The YMCA pool policy requires that children ages 9 and under must be directly supervised by an adult guardian age 18+ at all times. Ages 10+ may swim without an adult. All swimmers must pass a swim test to participate on the Wibit. Wibit waiver for birthday parties. Thank you, Priebe Family Foundation, for the generous donation that enabled the Y to provide this family adventure feature! We are excited to provide this form of fit family fun to our Y and community!